The University of California, Riverside is set to deploy a reusable to-go boxes in campus dining and will be the latest campus to deploy the OZZI system. As reported by Riverside’s campus publication, The Highlander, the project is a joint effort between UC Riverside’s Green Campus Action Plan and fellow California institution, UC Merced and its dining services. 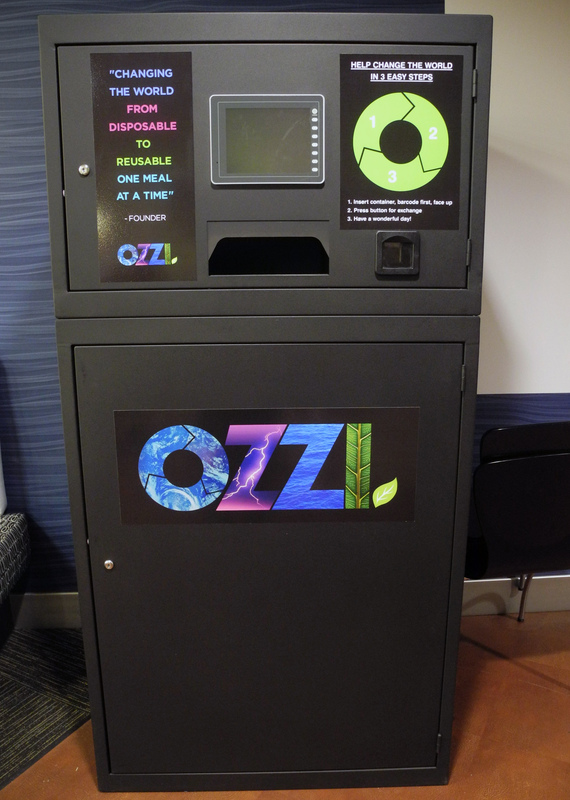 In addition to the reusable to-go containers, the project will also install OZZI’s proprietary vending machines at UCR dining commons. All students and faculty will have access to reusable food containers and be able to use the OZZI machines installed at the dining commons to return the to-go boxes after use. UC Riverside will benefit from UC Merced’s lengthy experience with the OZZI solution, which dates back to 2012. At UC Merced, students visiting a dining hall swipe their student ID card for verification and payment for their meal and then specify they want to use an OZZI container. The initial iteration of Merced’s deployment required a first-time user to buy into the program at $5.00 for their first OZZI container. Students could then visit a kiosk to return the used container, and receive either a metal token for the next container or an eToken on their meal plan account. If at the end of the year, a student still has a metal token or eToken left, they would be refunded their initial $5 buy in as a credit to their meal plan account. The implementation at Riverside follows the typical campus OZZI deployment formula. The company’s reusable containers are placed in the dining hall for students to fill with food at which point the student reports to the cashier to checkout. The reusable boxes then stay with the student until they return to the dining hall for their next meal, at which point students feed the container into the OZZI vending machine to receive their token for the next reusable box. The containers themselves are durable, and typically feature bar codes on the bottom so purchases can be tracked. Each container is built to withstand roughly 200 washes, and aren’t meant to be washed by students before being reused; rather they must be sanitized between uses by a university’s dining services department. The OZZI system has grown its user base to include a number of large institutions including Vanderbilt, Boston College and Ohio University.